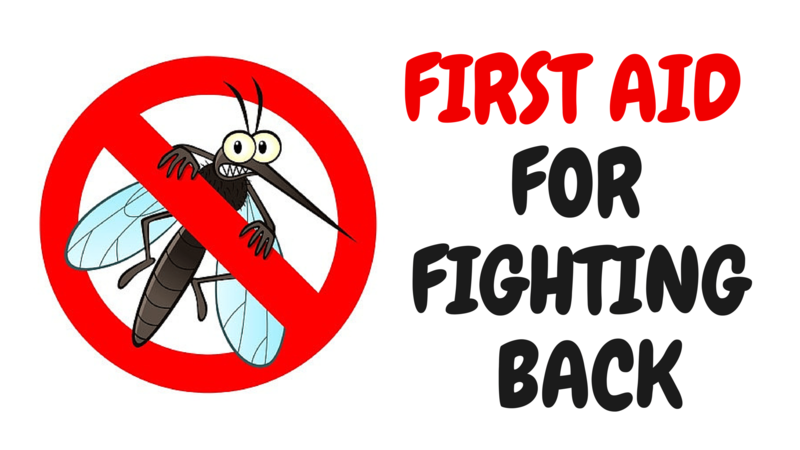 Bug Bites... First Aid top tips! What a glorious week for weather (well, it has been in Lancaster!). Over the weekend I managed to head up north and went walking in the Lake District (in my opinion, it’s the best place on earth). The weather was so good, we even finished the day off with our first BBQ of 2015! But after a lonnng, wet winter, you easily forget that BBQS can attract some unwanted guests: bugs. Since Saturday, little irritating bumps have popped up all over my body and I haven’t stopped itching. As a local First Aid provider, we decided this week we will give you all some top tips to stay ‘bug-safe’ this summer! Whatever the bug bite (mosquito, bee or a wasp) our bodies tend to react pretty quickly. Usually a bite results in redness, minor swelling, itching and a bit of pain. They’re not fun at all, but what should you do if you get bitten? Check that the stinger isn’t lodged in the skin. If it is, remove it gently by scraping across the skin with a flat-edged object like a credit card. Rinse the area with water, and place a cold compress or ice pack on the bite for about 10 minutes to reduce pain and swelling – be sure to wrap the compress in cloth first to protect the skin. If pain and itching continues, have a chat with your pharmacist and ask about antihistamine cream (it can work a treat!). If you spot any of these symptoms after a bug bite, be sure to call for medical help as soon as possible. If the casualty has experienced severe reactions to bites before, it is possible that they will be carrying an epinephrine injector (so be sure to ask!). Don’t forget: it’s your job to keep the casualty calm! If they become unconscious or stop breathing, begin CPR and continue until medical help arrives. Want to brush up on CPR and AED? Check out more information about our courses here. At Train Together we offer a range of First Aid courses, including training for office staff, teachers and requalifications. We recently updated our website, so please check it out for more details about the courses we offer at Train Together. Get qualified, save lives.